The EU’s General Data Protection Regulations (GDPR) come into force on 25 May 2018. This comprehensive legislation will affect everyone doing business in the EU – and don’t think that Brexit means it won’t apply here. The government has announced that GDPR will be incorporated into British law once we leave the EU. Our blog post of 29 March shares some advice about GDPR compliance and has links to some excellent resources that will help you make sure your business is ready. Click here to visit. In other business news, Brexit continues to cause uncertainty in the recruitment market, with many companies implementing hiring freezes until the situation becomes clearer. All businesses will be hoping for some clarity from the latest round of negotiations. The UK is currently suffering from a skills shortage, with many companies struggling to recruit the skilled workers they have and very keen to retain those they already employ. We published some tips on staff retention in our blog in March. Click here to read our advice. The M11 corridor – our area of operation – continues to thrive with new businesses arriving constantly and existing ones growing strongly. At RecruitAbility we have noticed increased interest in working locally which is great news for companies looking to recruit the best possible candidates. We wrote about this in January in response to yet another huge rise in commuter rail fares – click here to read our article. It is impossible not to notice the huge volume of house building going on in the local area. Although increasing house numbers continues to be controversial more residents in the area will be good for local businesses – with more people needing their services and more candidates for employers to choose from. Unemployment remains low, however, so companies must work hard to attract the best people. Improving your recruitment process, particularly the candidate experience, can help and Lucy shared some advice on how to do this in February – you can see her blog post here. 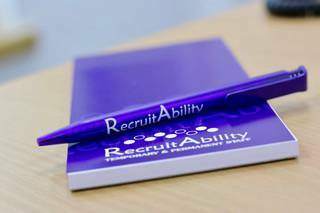 2018 has got off to a great start here at RecruitAbility. We welcomed a new member of staff to our busy team – Adrienne Coleman joins as a Recruitment Consultant and is looking forward to working with our clients and candidates. She has a wealth of experience working for some of the UK’s most recognisable clients and a comprehensive understanding of the recruitment industry. Adrienne joins RecruitAbility following a period of running her own successful business. June 2018 marks 10 years in business for RecruitAbility. Over the last 10 years we have seen considerable changes in our local area, both in lifestyle and the way we do business. One thing that has stayed the same is that the North Essex/East Herts area remains a wonderful place to live and work. We are hugely grateful to have spent the last decade working with some of the best clients and candidates possible and are looking forward to continuing to grow and prosper. Here’s to the next 10 years!